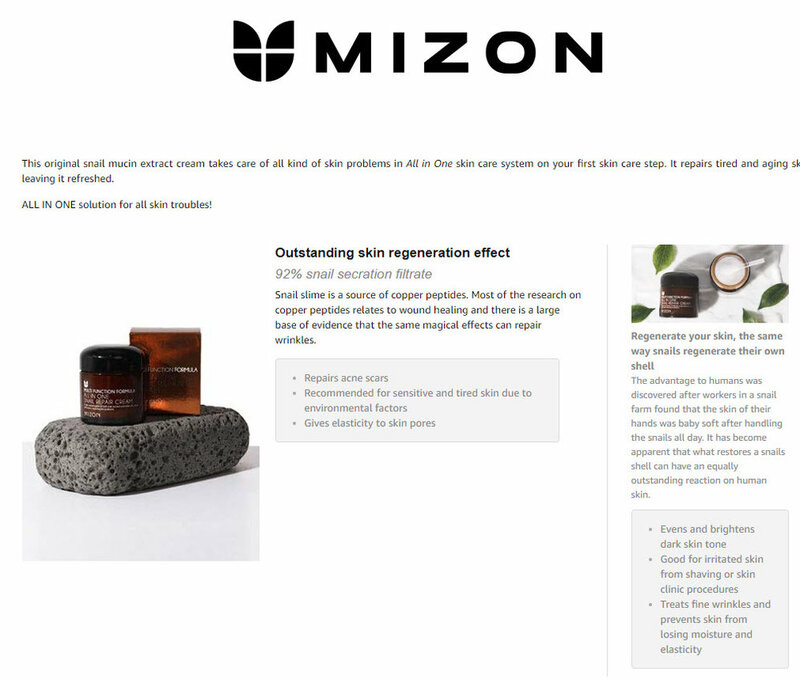 Mizon's All in One Snail Repair Cream is a slightly translucent and almost gel like cream due to it being formulated with 92% snail secretion filtrate! Don't let that put you off though as this cream has been described as a miracle skin product as not only does it improve firmness through hydration, its anti aging qualities also help to reduce the appearance of fine lines and wrinkles, acne scarring and blemishes. It is lightweight so quickly absorbs in to the skin to create a healthy glow and is suitable for oily and combination skin. 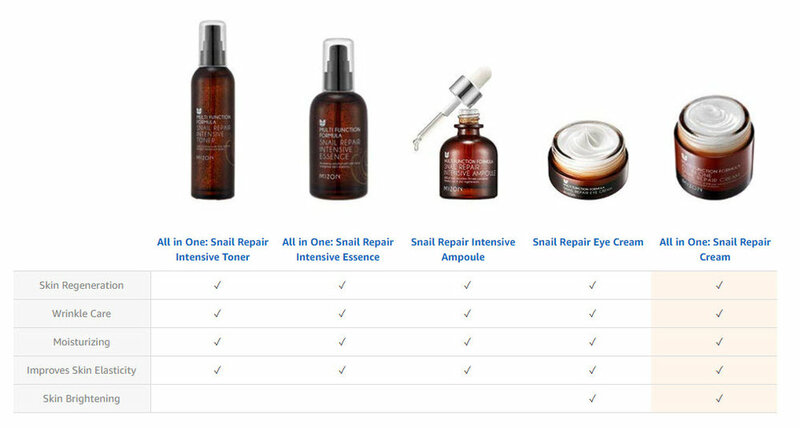 For drier skin or for winter, try adding [SNAIL REPAIR INTENSIVE AMPOULE] to the cream to boost the hydration. Alternatively use this cream under a heavier moisturiser. Apply the cream sparingly to the face and neck after cleansing and toning your face and after the application of your favourite serum or ampoule. For drier skin types, a heavier moisturiser may also be applied. It was actually Chilean snail farmers who first discovered the benefits of snail slime as a cosmetic ingredient as they observed that as a result of daily contact with snail slime, wounds on the hands healed faster and the skin became particularly soft to the touch! As it is lightweight, make-up goes on really well after use.